As many as 3,25,644 persons had been evacuated and sheltered in 1,162 relief centres on account of the cyclone and subsequent flood. BHUBANESWAR: The State Government on Friday expedited relief and rescue operation in flood-affected areas of Ganjam, Gajapati and Rayagada districts. Special Relief Commissioner Bishnupada Sethi said heavy rains in the aftermath of cyclone Titli has affected around 38 lakh lives in Gajapati, Ganjam, Rayagada, Puri, Kandhamal and Kendrapara districts. As per the report of SRC office, 4 NDRF teams and 3 ODRAF teams have been deployed in Ganjam district while 2 NDRF and ODRAF teams each have been deployed in Gajapati. Besides, ODRAF team has been engaged in Gunupur of Rayagada and two NDRF teams have been deployed in Puri for rescue work, they said. As many as 3,25,644 persons had been evacuated and sheltered in 1,162 relief centres on account of the cyclone and subsequent flood, while 1,27,262 more people were evacuated and sheltered in 963 relief centres on Friday, they said. In Ganjam, 150 personnel divided into 25 teams with 25 powerboats, have been deployed in different places for rescue operations. Additional 12 teams, consisting of 65 personnel, have also been mobilised from Cuttack, Bhubaneswar and Puri to Aska for rescue and relief, the SRC office said. Currently, 395 free kitchen centres are operating to provide food to 94,265 people. All important roads including Gopalpur Road, Berhampur town road, medical college internal roads, Hinjili-Seragada State Highway road have been cleared in the district, the officials said, adding, 50 teams consisting of 150 personnel, equipped with Power Saw are engaged in clearing the trees from the roads. Besides, 42 mobile medical teams have been deployed, while 145 Medical Relief Centres have been opened while 115 pregnant women have been shifted to nearby hospitals from affected localities, they said. Likewise, in Gajapati 13,139 persons have been evacuated and sheltered at 161 cyclone and relief centres. Fire Service team and NDRF teams have been engaged in cutting of trees for road clearance. The district administration said road communication from Kashinagar to Paralakhemundi and Gumma to Paralakhemundi have been restored. Around 34 teams with 50 Power Saw are working to clear roads from Mohana to Paralakhemundi and other roads, officials said, adding, six rescue teams consisting of 30 personnel with 6 boats are in operation in the district. 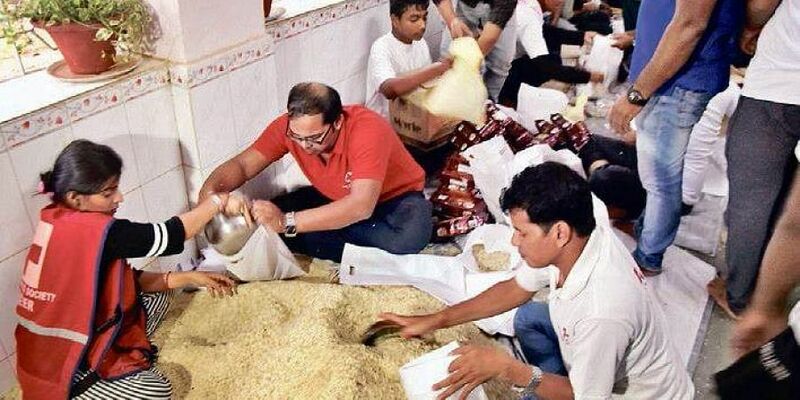 Officials in SRC said, cooked food and ‘chuda’ have also been provided to 15,798 persons in Puri. A total 2,632 persons have been evacuated and sheltered in Kendrapara, they said.